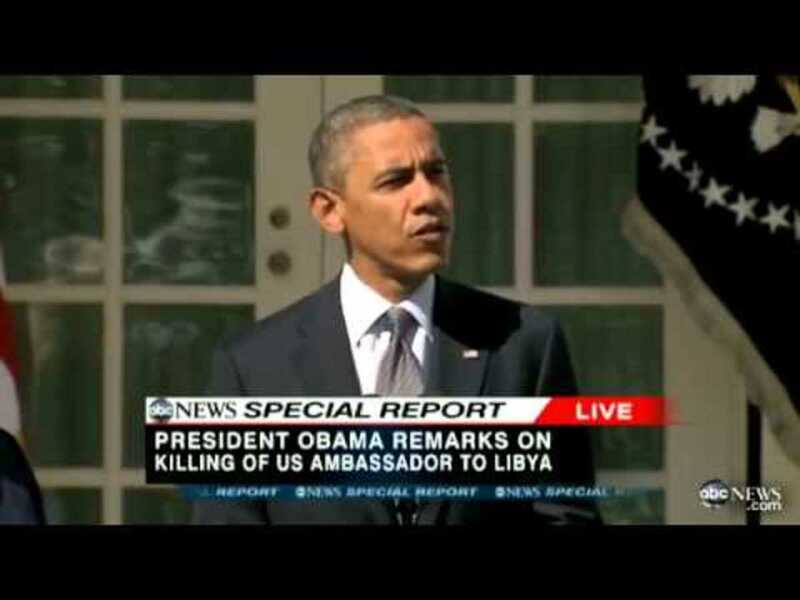 The September, 2012, attacks on the U.S. consulate in Benghazi, Libya killed 4 Americans, including U.S. Ambassador Chris Stevens. Those attacks inspired a great many rumors and accusations that spread throughout the internet. President Obama and Secretary of State Hillary Clinton ignored the pleas of Americans at the consulate and did not send help. The president issued a “stand down” order preventing U.S. forces from rescuing those trapped at the consulate. UN Ambassador Susan Rice lied to the media when she said the attack evolved from a protest outside the embassy. The Obama administration resisted answering questions or permitting an investigation of the Benghazi attack. All of this prompted demands for more investigations of the Benghazi attacks, yet most people are not aware of the multiple investigations that have already been conducted about Benghazi by seven Congressional committees and one government agency over the span of 3 years. Each of These Committees and Agencies Performed Lengthy Investigations of the Benghazi Attack. The following is a summary of some of the results of those investigations. Every piece of information below comes from the official report and is accompanied by links to the actual report from each investigation. The Intelligence community provided adequate information prior to the attack. There was no stand down order given and no military assets were withheld. The CIA security team and their Department of Defense colleagues professionally defended the facility with great skill and honor. Due to conflicting information about the attack, the CIA initially concluded that the attack evolved out of a protest in Benghazi. UN Ambassador Susan Rice used flawed talking points based on the best available intelligence at the time, but she did not lie about the attacks. No witnesses involved in the investigation were prevented from testifying or made to withhold any information. The US government should have done a better job to anticipate the possibility of an attack on the Benghazi consulate. There was no intelligence of an imminent threat in Libya at the time. The military responded to the attack quickly but due to the distance of the nearest US forces, the military response could not reach the consulate in time. The Dept. of Defense is working to correct any weaknesses revealed by the attack. The Accountability Review Board, chaired by senior diplomat Thomas Pickering, is an independent body convened to investigate the State Department’s response to the Benghazi attack. The intelligence did not indicate any immediate specific threat prior to the attack. In the months before the attack, the embassy at Tripoli should have advocated more strongly for increased security at the Benghazi consulate. Heroic attempts were made to defend the consulate but they were inadequate. The Libyan forces that were supposed to defend the consulate were profoundly lacking. Two aircraft were sent from Tripoli to Benghazi to help defend the consulate. By the time the 2nd aircraft had arrived in Benghazi, the wounded were already en route to Tripoli. There was no stand down of US forces ever issued. The report contains a detailed timeline of the attacks beginning on page 18. The safety of State Department personnel can never be guaranteed but the Department should have done a better job of anticipating a potential attack on the Consulate. The State Department did not adequately respond to the threats on the consulate in the weeks and months before the Benghazi attack. Not enough was done to hold people accountable for their failures. The State Department should have done more than just suspend 4 employees and reassigned them to other work. Not enough had been done to prepare for a possible attack. Military resources who responded to the attack were not in position to adequately arrive in time to fend off the attack. The CIA inaccurately concluded that the attack evolved from a protest outside the consulate resulting in the erroneous public statements about how the attack started. The U.S. government should not rely on security from the host nation if U.S. facilities are under high threat. After All These Investigations, What Do We Really Know? There is a great deal more to these reports than what is listed here. You are encouraged to read them yourself using the links provided above. 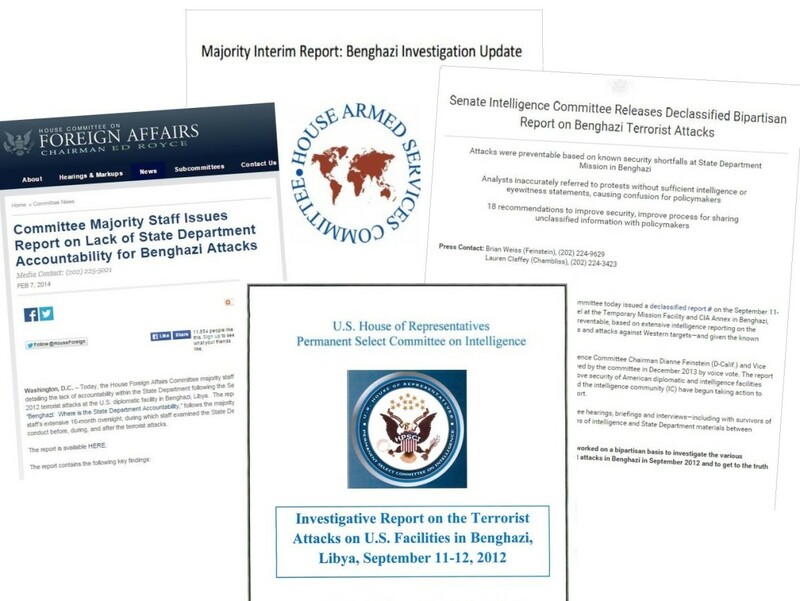 These reports contain plenty of criticisms about the level of security at the Benghazi consulate and what could have been done prior to the attacks, but they clearly disprove any claims that suggest the President or Secretary of State ignored pleas for help or withheld any forces that could have responded to the attacks. 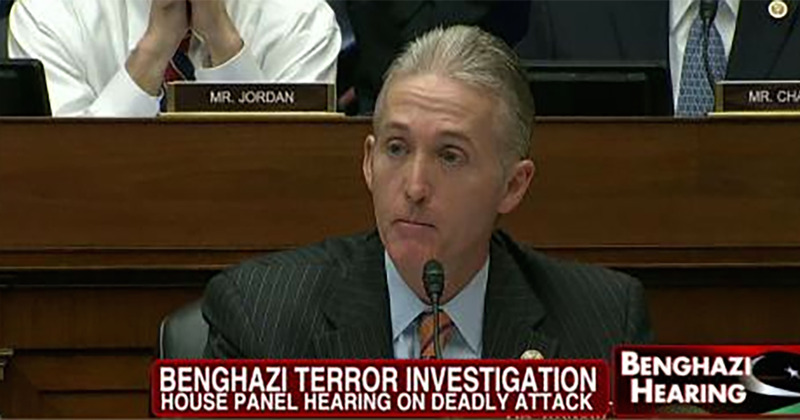 In 2014, Republicans created a special committee, chaired by Congressman Trey Gowdy, just to investigate the Benghazi attack. Democrats on the Benghazi committee pointed out some problems that suggest the committee has a political agenda that has little to do with investigating Benghazi. Republicans systematically excluded Democrats from interviews of witnesses. Republicans who run the committee shifted its focus primarily to looking at former Secretary of State Clinton’s private email account, even though this has little to do with the Benghazi tragedy. The committee cancelled most of its hearings in 2015 and delayed much of its work until 2016, when Hillary Clinton was the presumptive Democratic nominee for president. House Republican leader Kevin McCarthy admitted that the committee's objective was to bring down Hillary Clinton's approval rating before the 2016 election. Bradley Podliska, former investigator for the Benghazi committee, said he was fired because he wouldn't engage in partisan attacks on Hillary Clinton. 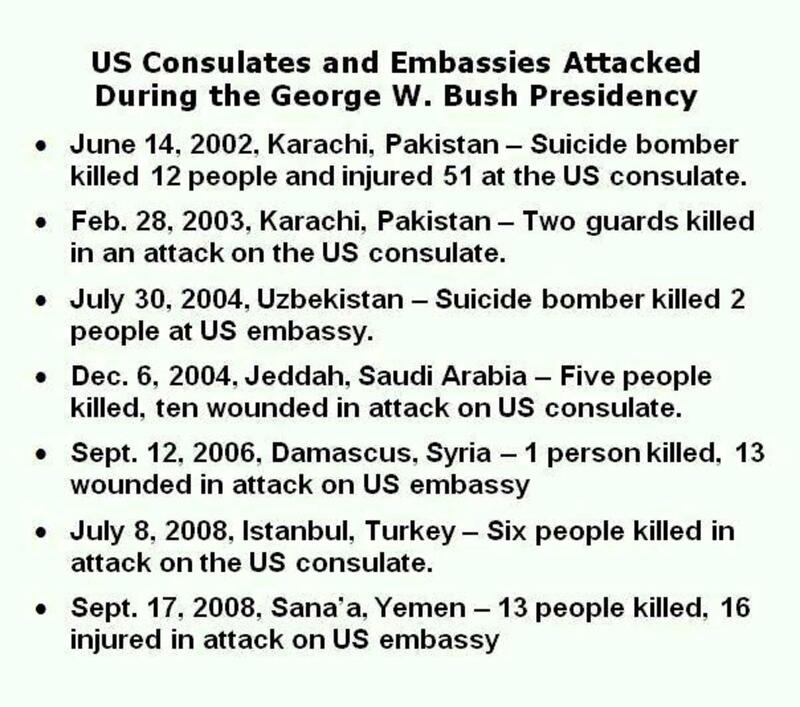 How is the Benghazi tragedy different from other attacks on our consulates and embassies? Many people wrongly think that the attack on Benghazi is unique and unprecedented. Sadly, fatal attacks on US embassies and consulates are all too frequent. Here is a short list of just a few of the attacks that occurred during the presidency of George W. Bush. Strangely, none of these attacks received much media attention. 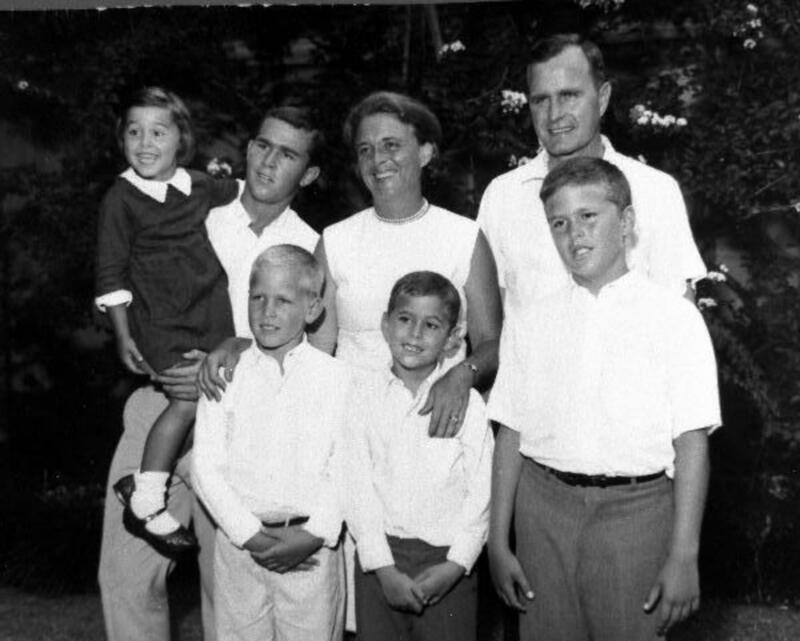 They were not politicized or used to accuse President Bush of failing to protect our diplomats. While the Benghazi investigations were critical of the President and Secretary of State, they thoroughly disproved many of the myths and falsehoods that were circulated about Benghazi. Myth 1: There have been no thorough investigations into the attack on the US Consulate in Benghazi. The total duration of the official Benghazi investigations is now more than twice as long as the 9/11 investigation and four times as long as the Warren Commission which investigated the JFK assassination. The list of congressional committees and agencies that have investigated the Benghazi attacks is long and includes the State Department Accountability Review Board, House Foreign Affairs committee, Senate Intelligence Committee, Senate Armed Services Committee, Senate Homeland Security Committee, House Armed Services Committee, House Committee on Oversight and Government Reform, and the House Intelligence Committee. “The nearly two-year investigation focused on the activities of the Intelligence Community before, during and after the attacks. 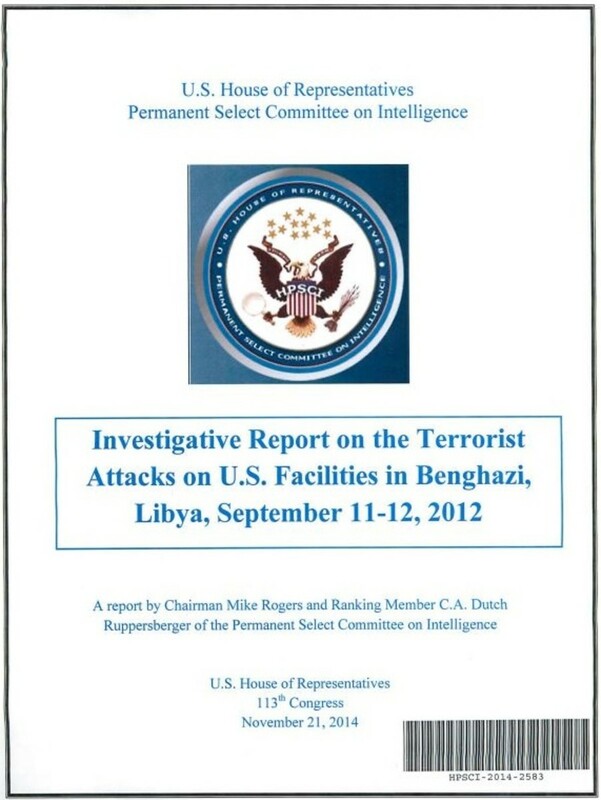 During the course of thousands of hours of detailed investigations, we reviewed thousands of pages of intelligence assessments, cables, notes and emails; held 20 Committee events and hearings; and conducted detailed interviews with senior intelligence officials and eyewitnesses to the attacks, including eight security personnel on the ground in Benghazi that night”. The Obama administration released all available information within days of the attack, including internal memos and emails, long before Republicans “demanded” their release. The House Intelligence Committee specifically stated that no witnesses involved in the investigation were prevented from testifying or withheld any information. The committee reports indicate no difficulty in getting information from the administration during the course of their investigations. Myth 3: President Obama and Secretary of State Clinton ignored the pleas of Americans at the consulate and refused to send help. All the investigations dispute this claim. Help was sent from the CIA annex a mile away. An aircraft was sent from Tripoli with military support that helped defend the consulate. A Predator drone was sent to Benghazi before security requested it. A second aircraft was sent from Tripoli but did not arrive in time. The Accountability Review Board said US forces made “Heroic efforts” to defend the consulate but were overwhelmed by the size of the attack. The House Intelligence Committee said the CIA security team and all Defense Dept. forces defended the facility with great skill and honor. The Pentagon said that all appropriate forces were sent to respond in Benghazi but some did not arrive in time. The House Armed Services Committee said all available forces were sent to defend the Benghazi consulate. Just one of many sources that show the "stand down" myth is untrue. Myth 4: President Obama issued “stand down” orders to prevent anyone from responding to the attack on the Benghazi consulate. 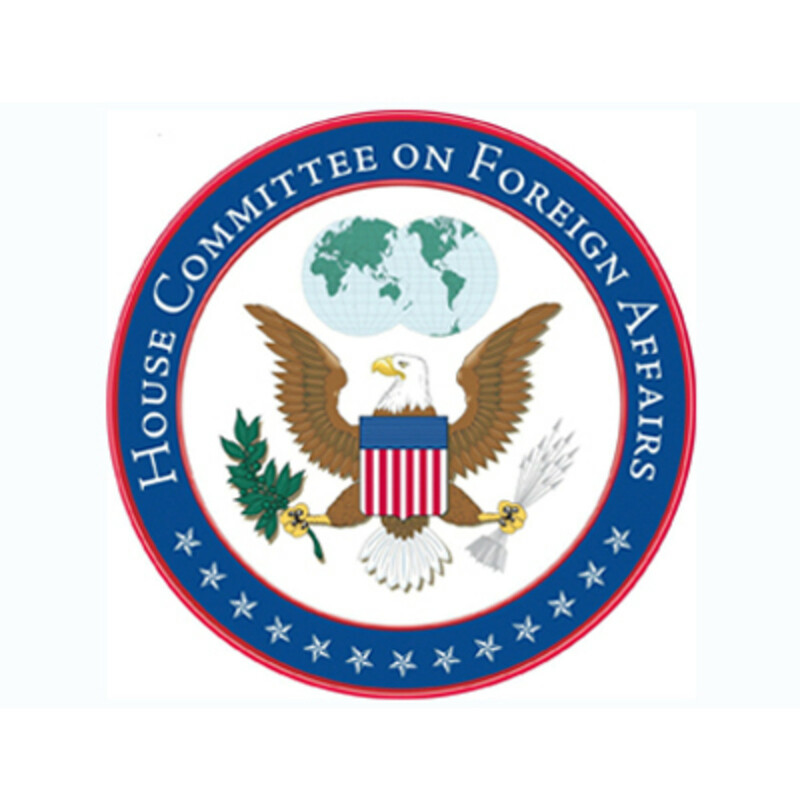 The House Intelligence committee, House Foreign Affairs Committee and the State Dept. Accountability Review Board all concluded that there was no stand down order ever given. In addition to all the official investigations that have debunked this myth, fact checking sources have also shown this claim to be untrue. According to the Pentagon, Secretary of Defense Leon Panetta ordered all appropriate forces to respond to the events in Benghazi but the attack was over before all of those forces could arrive. Myth 5: There are still questions about the Benghazi attack that have not been answered by the Obama Administration. The nine different investigative bodies that have spent years investigating the Benghazi tragedy made it explicitly clear that no information was withheld and no questions have been left unanswered. 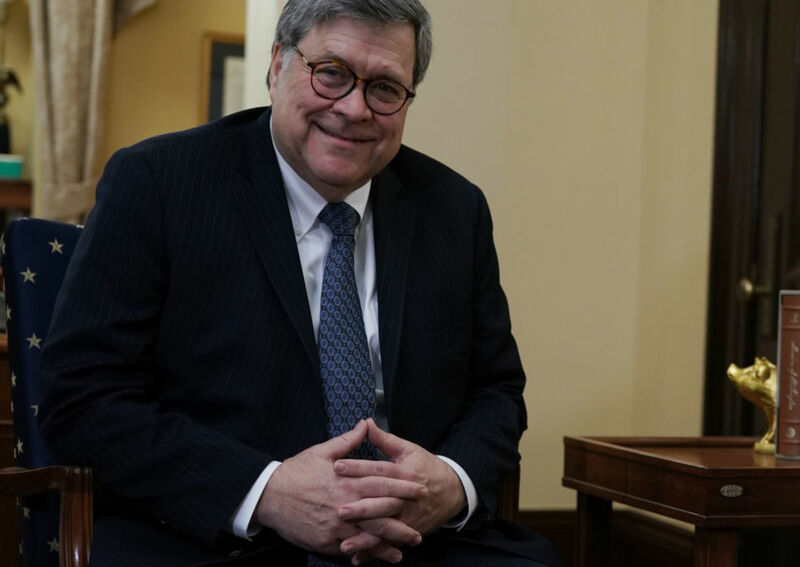 The House Intelligence Committee concluded that no witnesses involved in the investigation were prevented from testifying or made to withhold any information. 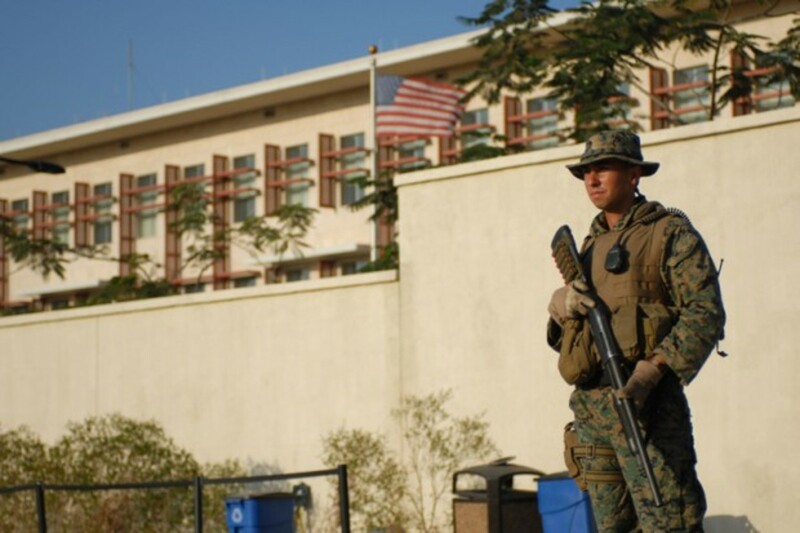 Link - truthorfiction.com: U.S. Marines Defending Embassy in Egypt Without Ammunition-Fiction! Myth 6: U.S. Marines defending the Consulate in Benghazi didn’t even have ammunition. According to Pentagon Lt. Col. Chris Hughes, no restrictions on weapons or weapons status were ever imposed on the Marines at the Consulate. Ambassador Chris Stevens being taken to the hospital by his Libyan rescuers. Myth 7: Victorious militants in Libya were photographed dragging the dead ambassador’s body through the streets. The exact opposite is true. The photographs of Ambassador Chris Stevens’ body are from a video showing Libyans trying to rescue him and rushing him to a hospital after the attack. 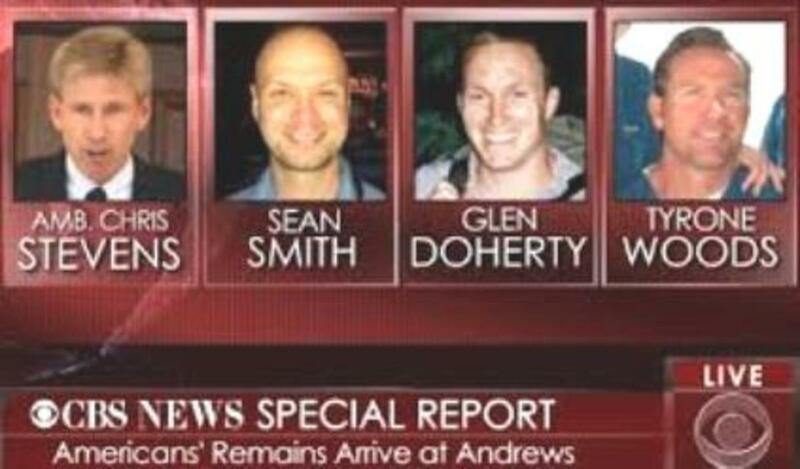 According to a September 18, 2012 article by the Associated Press, "Libyans tried to rescue Ambassador Chris Stevens, cheering 'God is great' and rushing him to a hospital after they discovered him still clinging to life inside the U.S. Consulate, according to witnesses and a new video that emerged Monday from last week’s attack in the city of Benghazi." Link - factcheck.org: Stories of Chris Stevens' torture are not true. 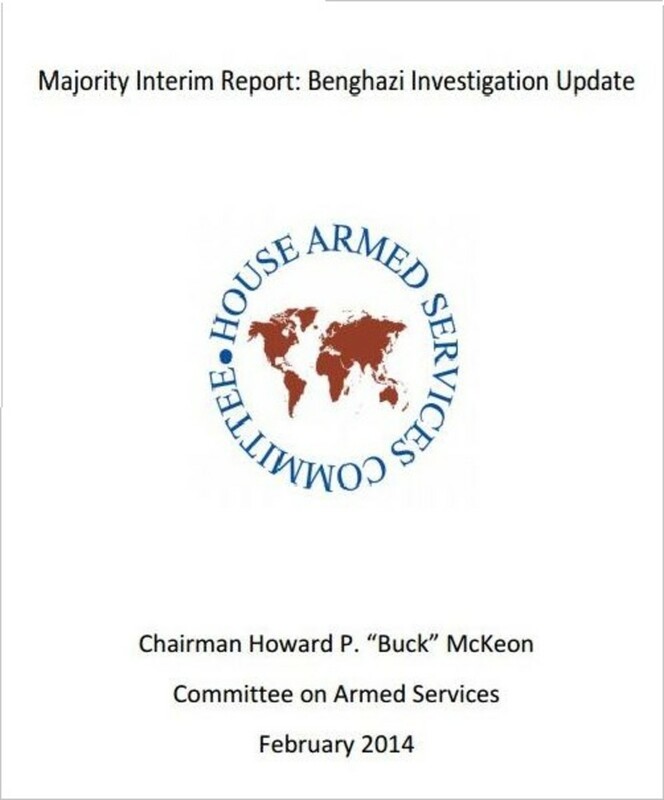 See page 18 of the report for a complete timeline of the Benghazi attacks. Myth 8: Ambassador Stevens was brutally tortured, castrated, sodomized, stabbed and burned before he died. None of this is true. Libyan doctor Ziad Abu Zeid tried to revive Ambassador Stevens after locals carried him to the Benghazi Medical Center. He said Stevens died of severe asphyxiation from smoke, but he had no other injuries. The eight investigations indicate no such torture of Ambassador Stevens ever occurred and that he died from smoke inhalation. A detailed timeline of the attack can be found beginning on page 18 of the Accountability Review Board report. Myth 9: The Obama administration tried to cover up the fact that the Benghazi attack was a planned terrorist attack. 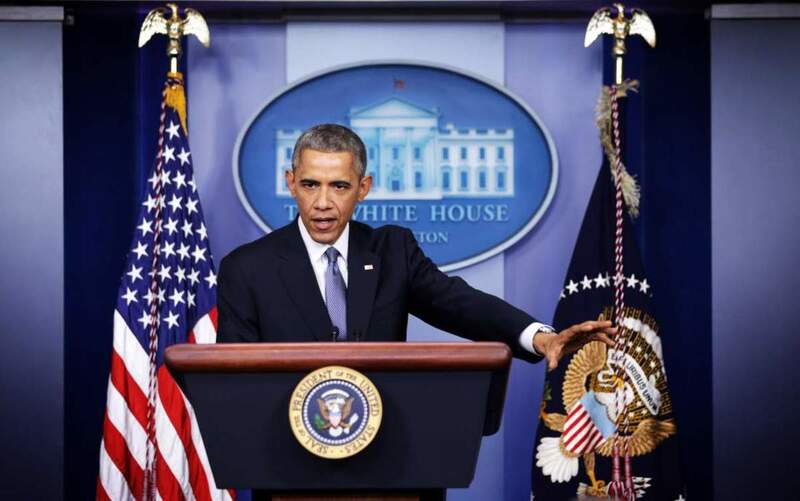 President Obama called that attack an “act of terror” the very next day. By September 26, once the CIA had confirmed that this was in fact an organized attack, the Obama administration publicly stated that it was a terrorist attack. The Obama administration had no incentive to cover up the fact that this was a terrorist attack. It is not uncommon for our embassies and consulates in foreign countries to be attacked. At least 13 similar attacks with dozens of fatalities occurred during the George W. Bush Presidency. The Obama administration had no reason to cover up this attack. Myth 10: UN Ambassador Susan Rice lied during television interviews when she said the Benghazi attack evolved from a violent protest outside the consulate. At the time of the Benghazi attack, there were many violent protests outside American embassies over an offensive YouTube video that some Muslims believed insulted their religion. The CIA initially believed the attack in Benghazi arose from one of these violent protests. The Congressional investigations confirmed that Ambassador Rice repeated what the CIA and intelligence community told her was the truth at the time. 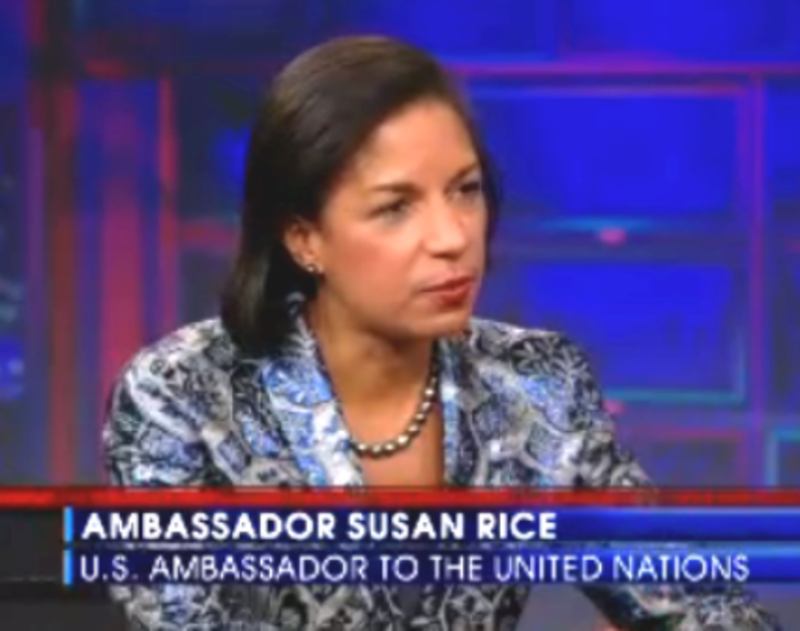 Rice could not state that it was an organized terrorist attack until the CIA confirmed that. Link - New York Times: Petraeus Says U.S. Tried to Avoid Tipping Off Terrorists After Libya Attack. In testimony before Congress, CIA Director David Petraeus confirmed that Rice was stating what was believed to be true at the time. Petraeus also testified it was not in our best interest immediately after the attack, to make any terrorists aware of everything we know about the attack. 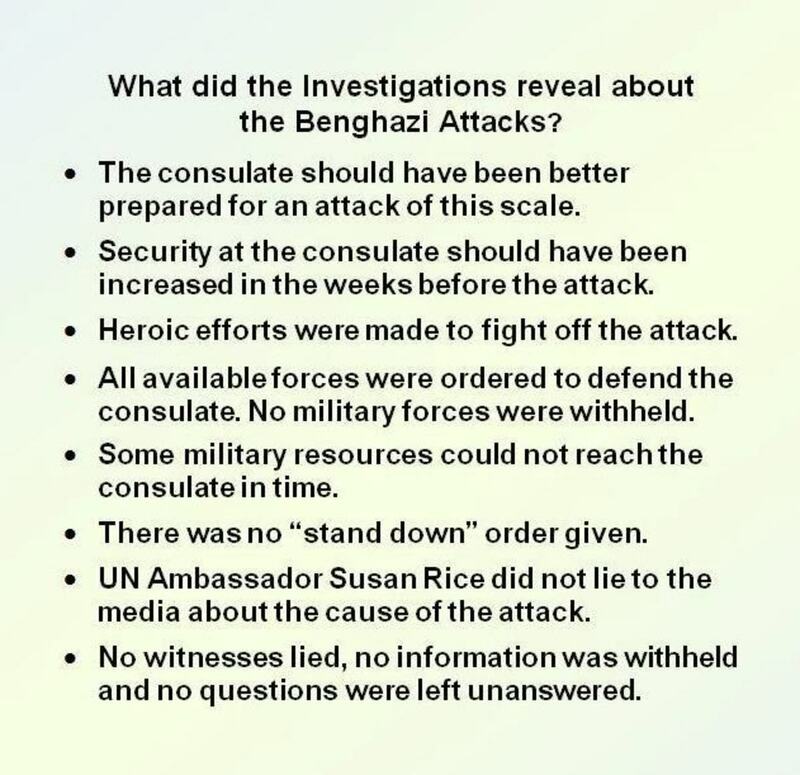 By any objective standard, the 2012 attack on the Benghazi consulate has been more thoroughly investigated than any terrorist attack in history. The amount of time and effort spent investigating Benghazi dwarfs the official investigations of 9/11 and the JFK assassination combined. 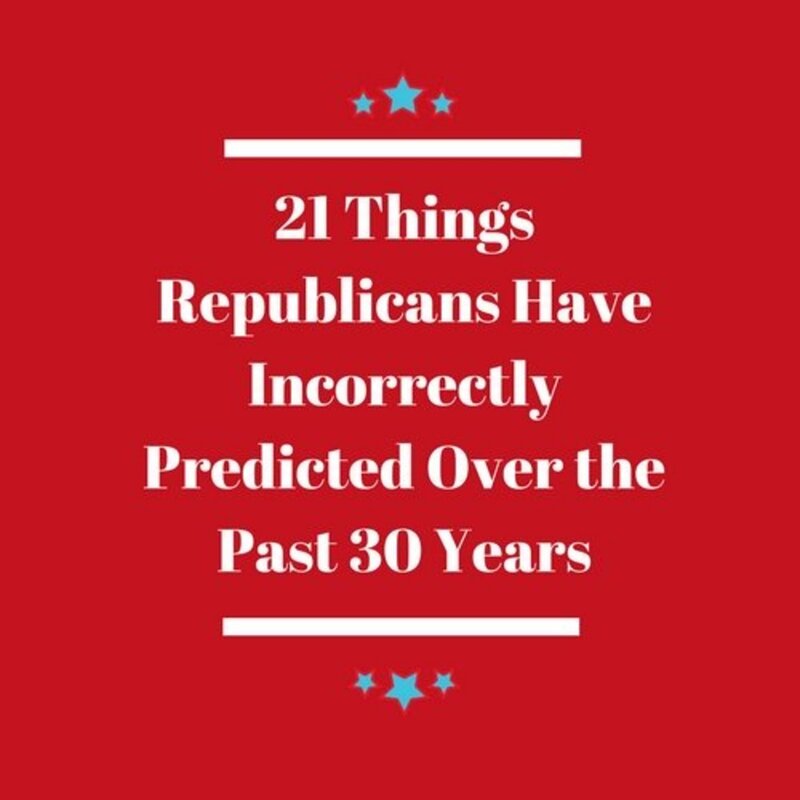 Even after every piece of information has been obtained and every question answered, some politicians continue to repeat the same partisan accusations that their own investigations have thoroughly disproved. Almost all of the attention on Benghazi was focused exclusively on thwarting Hillary Clinton’s campaign to become president. 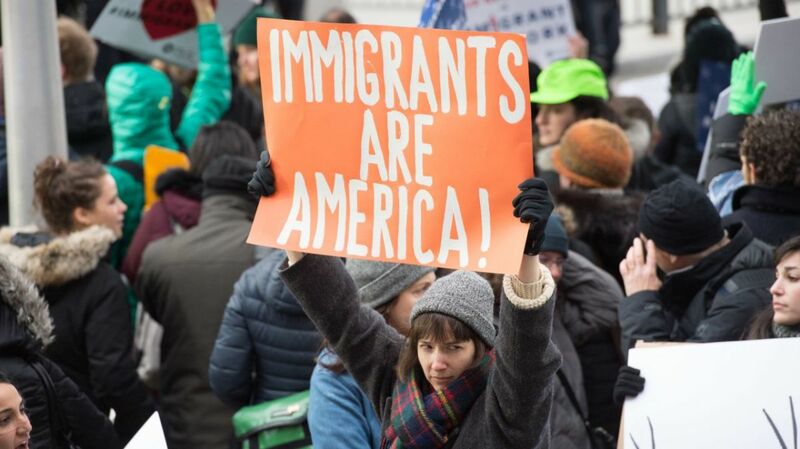 The only reasonable conclusion that can be reached is that this tragedy has been exploited for political reasons to an extent rarely ever seen in the US. Considering the 8 previous investigations, what do you believe is the real reason Republicans in Congress are conducting a 9th Benghazi investigation? They just want to be really, really thorough. They genuinely believe there was some wrong-doing that was missed by the previous 8 investigations. 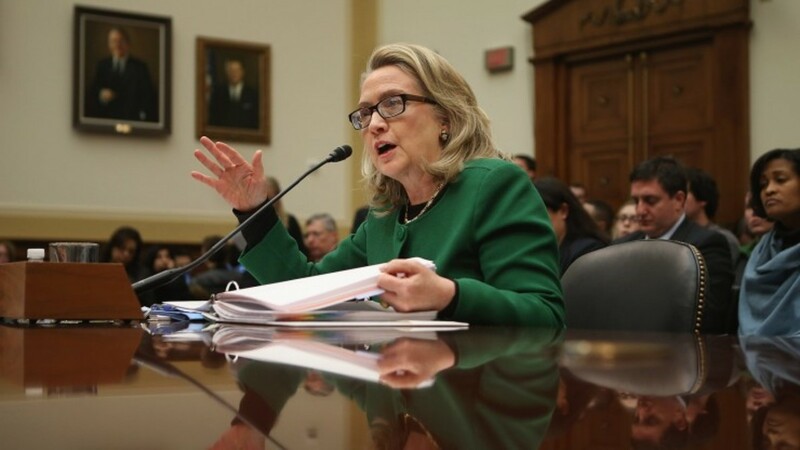 Benghazi is more important than 9/11 and should be investigated for decades, if necessary. They want to smear President Obama and Secretary of State Hillary Clinton for political reasons. 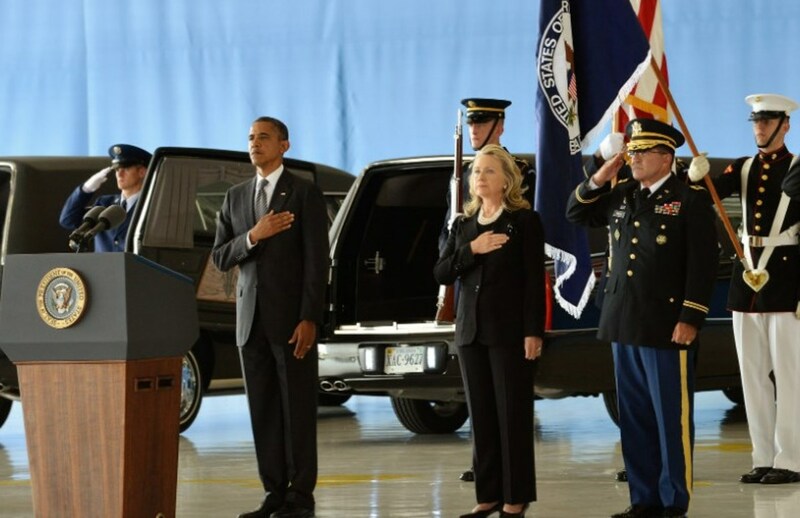 Do you believe that President Obama or Secretary of State Clinton ignored the pleas for help from the US consulate in Libya? Yes. They let them die without sending any help. Yes. President Obama issued a "stand down" order preventing US forces from assisting. They didn't ignore the pleas for help, but they didn't do enough to dispatch help in time. No. All available forces in the area were sent to help defend the consulate. Do you think UN Ambassador Susan Rice deliberately lied to the media about what inspired the attacks? Yes. She wanted to hide the fact that it was a terrorist attack. Yes, She wanted to wait until after the election. No. The CIA told her it was inspired by the violent protests over a video that offended many Muslims. Why Are Trump Surrogates Calling for U.S. Civil War? I have some insight into this scandal perhaps more than the average. One of my relative is a retired FBI agent. He said there was more to this story than being reported by the press. 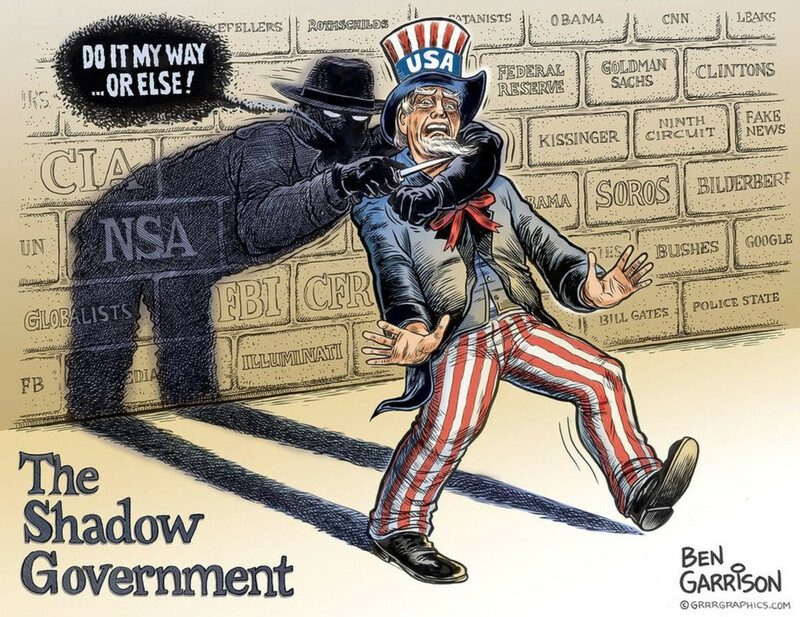 The government, and the CIA had things to hide and the truth was never going to see the light of day. Unfortunately for the 4 Americans who died, justice will not be served. "You are mistaken. Democrats had no power to stop any investigations." But they had the power to corrupt the results of investigations. As can be seen from the actions of the disgraced intelligence community, nothing that these cover-up investigations revealed can be believed. I do believe the Arm General who was sendingsupport and was toldtostanddown. Believe the government findings if you choose to; I choose not to — they can’t be trusted. Investigations are nothing more than cover ups when it comes to these types of matters, same as 9/11, JFK, etc. ... if you think the truth and nothing but the truth was put out in those investigations for public consumption you have NO clue on how the real world works. Not that such a tragedy occurred, not even that there was a cover up... but that the Obama Administration, and the 'news' channels (CNN and MSNBC primarily) tried to sell the American people on the fact that these deliberate, planned out attacks, were a spontaneous reaction to a YouTube video. That lack of respect towards 'mainstreet' Americans, thinking that they would swallow such a lie, was downright insulting. I watched some of those hearings. The Democrats on the committee asked irrelevant questions and make statements to deflect any attempt to get at the truths. As for the people on the ground, they were given gag orders to stay silent and in some cases transferred from the units...I have to say, even some Republican committee members paid lip service to getting at the truth but was not interested in the "truth". Watch the movie "13 hours" and you will learn more about this scandal than any Congressional investigation. Let me ask you one question. Who gave the command to sand down instead of sending in a rescue crew? You are mistaken. Democrats had no power to stop any investigations. If you read any of the reports you would know that the people on the scene who survived the attack were in fact interviewed by the committees. You are just repeating the same talking points used to politicize this tragedy. This is a travesty. This whole affair was a fabrication by Ben Rhodes to deceive the American people. Blaming a youtube video as a cause of a protest... when in fact it was a planned terriorist attack on the anniversary of 9/11. Not one person on site has been interviewed by investigators or Congress. How can that be? One more thing, and I ask this of every writer everytime I see this picture. Out of respect for him and his family, would you please take down the picture of Ambassador Stephen's body? Thank you. This hub could be renamed "Everything you wanted to know about Benghazi but were afraid to ask." Thank you for the effort you've made to cover this issue from all sides. We are seeing this effect again in the results of the FBI investigation into Hillary Clinton's emails. People are being asked if they agree with the results? To quote a phrase, "What difference does it make" if people agree or not? The results have been published. A verdict has been decided. Just because you don't like what has been revealed, the facts are not going to change. Wow, you sure did an exhaustive review of the 'official' investigations and reviews... if you think they are filled with the truth, or that they reveal any top secret information, you are sadly mistaken. 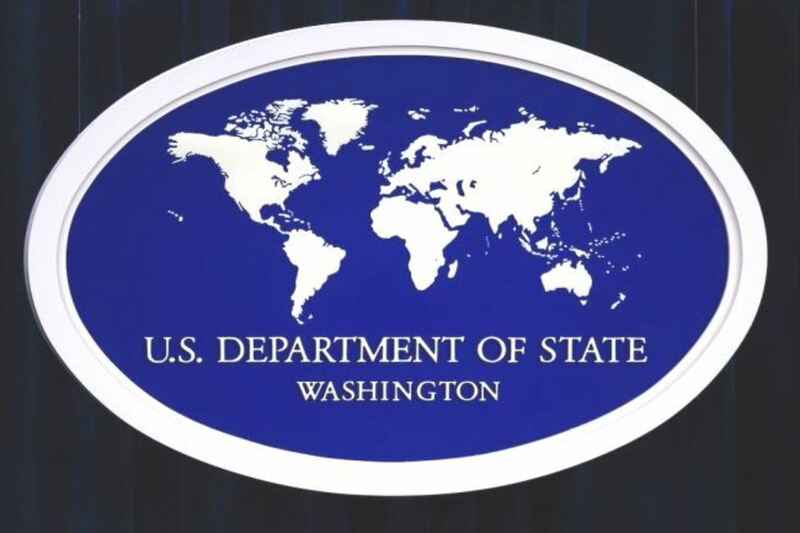 1) No standards adhered to - no Security detachment to protect the Ambassador, no standard Gov issue vehicles, inadequate compound security measures, etc. 2) Just before the attack, Ambassador Stevens had finished meeting with a Turkish Ambassador (at around 9 pm). 3) On Sep 14, the Times of London reported that a Libyan ship “carrying the largest consignment of weapons for Syria … had docked in Turkey.” and then "more than 80 per cent of the ship's cargo…has been moved into Syria." The shipment reportedly weighed 400 tons and included SA-7 surface-to-air anti-craft missiles and rocket-propelled grenades. 4) Those heavy weapons are most likely from Muammar Gaddafi’s stock of about 20,000 portable heat-seeking missiles—the bulk of them SA-7s—that the Libyan leader obtained from the former Eastern bloc. Reuters reports that Syrian rebels have been using those heavy weapons to shoot down Syrian helicopters and fighter jets. 5) The ship’s captain was ”a Libyan from Benghazi and the head of an organization called the Libyan National Council for Relief and Support,” which was presumably established by the new government, he also has ties to the Muslim Brotherhood. 6) A Libyan militia known as the February 17 Brigade, had been charged with providing local security to the consulate in Libya. This was what the State Department was depending on to protect Ambassador Stevens. The 'commander' of the February 17 Brigade, Fawzi Bukatef, is a member of Libya’s branch of the Muslim Brotherhood. 7) It is the Muslim Brotherhood movement in Syria that received at least part of the weapons shipment. In a NY Times article from June, it was stated "that a small number of C.I.A. officers are operating secretly in southern Turkey, helping allies decide which Syrian opposition fighters across the border will receive arms by way of a shadowy network of intermediaries including Syria’s Muslim Brotherhood." 8) The origins of the 'riots' and attacks on our Embassies began in Egypt, which is under the rule of the Muslim Brotherhood. In each step, from where and when the riots began, to who was supposed to be providing protection to the Ambassador, to the Captain of the ship, to those who received the weapons... the Muslim Brotherhood had a presence in every step of it. Was the Obama Administration afraid that news of them supplying SA-7s to the Muslim Brotherhood in Syria would get out? Were they afraid they might kill some of their Muslim Brotherhood allies in an effort to save American lives? We will likely never get the truth. People need to remember that Fox News went to court to win the right to lie! They lie for a living! Subversive elements abound in this day and age......pay attention! And each and every prez candidate that goes on there.....BEWARE of them! They are talking on a platform that uses lies like a dentist uses fluoride. They have an agenda they push: Truth is an afterthought. Obviously--they want you to believe that Hillary and Obama killed Stevens. And they don't mind lying to sway you. According to the 8 investigations that have been conducted, that never happened. There were no "stand down" orders ever given and no military assets were withheld. How about those who broke ranks and went to the recue against 'orders to stand down'? You left out several facts and cherrie picked to prove your points. If you are going to make accusations toward the president and secretary of state, you need to back it up with some facts or sources. The 8 official investigations contradict your accusations. Nothing you said was supported by facts. Its clear you hate President Obama, but you need to do better than just make up random accusations with no basis in fact. about the attack two weeks in advance and they let it happen. I'm an independant voter and i have no loyalty to any party, but, you liberals need to by a tractor ......to pull your heads out of your asses and wake up to the truth!! This is an incredibly well researched article. It is clear that there was a large amount of investigative attention drawn to the circumstances surrounding the attack, and that this attention focused on background and command level responses to the attack. Results of this indicate all was well. But … the link between those who command and those who serve is a really long path. During the initial news reports on the day of the attack, as we were first becoming aware, I found myself wondering why there were already two different stories evolving. I’m an old guy, and used to folks presenting information in the way they want me to see it. 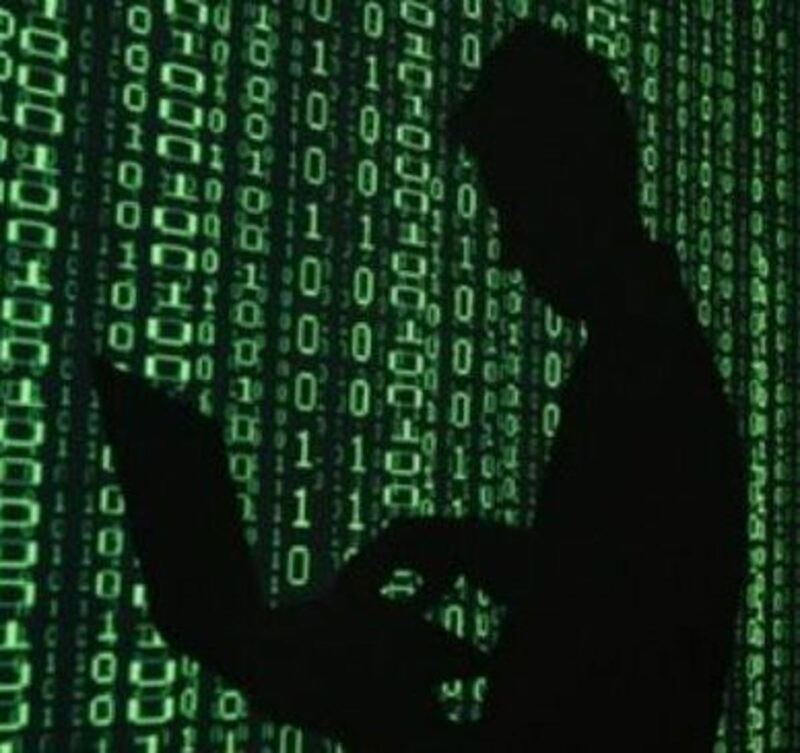 That happens when the line of communication has been fouled in some way - whether it was a Clinton e-mail server, a compromised military communication, a plain old ambiguity or misunderstanding of the message, or deliberate misinterpretation by those who relay the message. It also happens when the enemy is within, and desperately seeking to convince us that nothing was done wrong. Something went wrong. My guess is that it will not go away, and that this will be investigated for possible criminal activity until the statute of limitations runs out. After that, it will likely be investigated by historians and probably become one of the hallmark events to describe how our understanding of current events is changing in this new millennia. Using that standard then, there is no reason to conduct yet another investigation into Benghazi. That doesn't change my statement about government investigations. 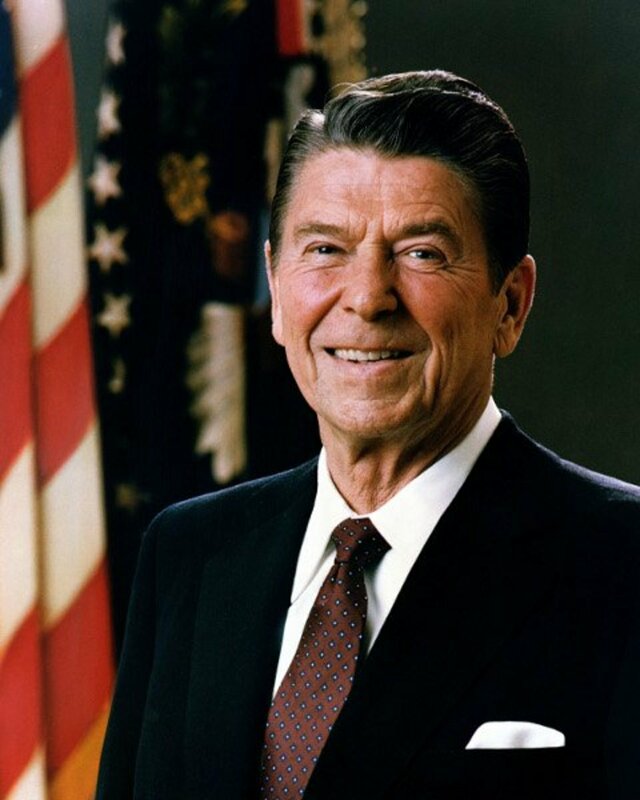 For example, do you really think that Oliver North acted without the knowledge of Reagan and Bush Sr. 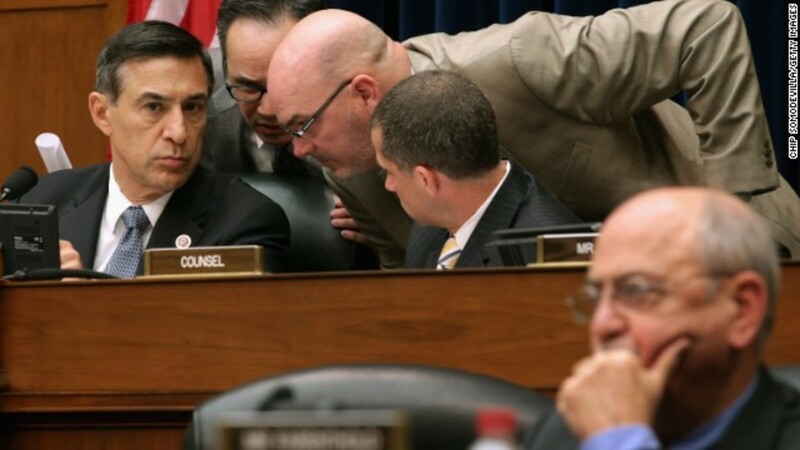 Considering that these investigations were conducted by Republicans who desperately want to contrive some scandal involving President Obama and Hillary Clinton, it is astounding that they reached conclusions that debunk the myths surrounding Benghazi. Government reports are not made to find the veracity of the issue but to protect the government. How trust worthy are government reports? "The never-ending Benghazi farce: Trey Gowdy is running a taxpayer-funded opposition research outfit"
See? Wasting OUR money for their political gain! "Utah Republican Chaffetz admitted in a CNN interview that he had previously voted to cut embassy security funding." ...When are the hearings on that? "For fiscal 2013, the GOP-controlled House proposed spending $1.934 billion for the State Department’s Worldwide Security Protection program — well below the $2.15 billion requested by the Obama administration. House Republicans cut the administration’s request for embassy security funding by $128 million in fiscal 2011 and $331 million in fiscal 2012. (Negotiations with the Democrat-controlled Senate restored about $88 million of the administration’s request.) Last year, Secretary of State Hillary Clinton warned that Republicans’ proposed cuts to her department would be “detrimental to America’s national security” — a charge Republicans rejected." I mean....what is the word for this??? Dog whistle? Put them all in the Dog Pound! Thank God this came out now. The disgusting Republicans would use this over and over again towards Hillary! You have done an impressive job (much research!) presenting these reports to your readers. I commend you and appreciate your prolific writing skills. Thank you. As with the majority of Political news, controversies and highly sensitive information, I will reserve comment and/or opinion until I have personally investigated the mountain of reports, as well as closely examine the coming inquiry by Trey Gowdy. Thank you. Voted UP and U&I!....Tweeted and Pinned. I love the research and analysis that you did and how you presented it. It is one of the best pieces of work I've read in a long time. In propaganda terms, "Benghazi" is called a "dog whistle." Just like a dog can hear above our frequencies, the word "Benghazi" implies liars, cheats, un-American, un-patriotic, and anything else they can conjure up in their minds to put down Hillary and the administration. Just like any propaganda, the more they hear it, the more they will believe it. That's why there have been so many investigations. It's political theater to justify to those who's values and belief systems are looking for ways to discredit others. Every time they hear the word "Benghazi", it sets of a whole stream of emotions, including the picture of leaving the Marines and the Ambassador to die. Voting up, interesting, useful and sharing. Actually, the Republicans can be blamed for refusing to give the embassy more security that Clinton asked for! They love to demonize Americans, and put down our country. And they love to waste money. Excellent article instantly voted up. The Benghazi attacks were badly twisted by a bunch of sour grape republicans who lost to Obama. Since then they've used it to attack Hillary as you mentioned. What I like most about this article is how much research, supported by facts, you included. Sadly, this loss of life was exploited (and still is) by the far right of the Republican Party.